To the world, she was known as Sylvia Cranston and to her theosophical friends and community worldwide she was our most humble Anita Atkins. Born on December 12, 1915, Anita spent her early years living off the Grand Concourse in the Bronx, New York. Her parents both attended meetings at The United Lodge of Theosophists in New York City. Anita’s introduction into the philosophy of Theosophy came from her father’s reports of the meetings he attended. Anita always stated that her “soul soared” each and every time her father returned home from a theosophical meeting. Anita would ask her father to tell her of every idea that had been presented during the lectures. Due to Anita’s extreme shyness, it took her many months before she could bring herself to attend her first public theosophical meeting, to which she was accompanied by her parents. After this first meeting, there was no turning Anita away. From that day on the young teenager, still in high school, attended every possible meeting. During Anita Atkins’ lifetime, she wrote and published five wonderful books, introducing hundreds of thousands of individuals worldwide to the ideas of Theosophy through reincarnation. 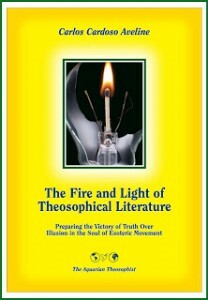 These works are: “Reincarnation an East – West Anthology”, “Reincarnation in World Thought”, “Reincarnation: The Phoenix Fire Mystery”, “Reincarnation a New Horizon in Science, Religion & Society”, and “H.P.B., The Extraordinary Life & Influence of Helena Blavatsky, Founder of The Modern Theosophical Movement”. The first three volumes have become known as the Head & Cranston Anthologies, while the last two were with the efforts of Carey Williams. It has been an established policy that all the royalties earned by these volumes only be used to purchase the books back and donate them to libraries worldwide. The policy still being honored is that not one penny shall ever be for personal use, but only to promote the ideas of Theosophy through these volumes in order to aid suffering humanity. Anita Atkins spent her whole working life at The United Lodge of Theosophists – New York City, the 5cents and 10cents Store, and Eastern News Distributors. Never married, she chose to direct her efforts towards humanity through her lectures for various theosophical groups and organizations, teaching Theosophy School at ULT, as well as participating in innumerable radio interviews and some major television interviews. To many researchers and academics in the world, Sylvia Cranston has become a respected authority in the field of Reincarnation. Today her books are still available in multiple languages throughout the world, remaining as a beacon light for individuals searching for soul-knowledge on their chosen path of life. Anita’s heart was pierced by this proclamation, so at the age of sixteen, she began compiling what great thinkers, writers, artists, and composers had to say on the subject of death and reincarnation throughout history. The idea came to Anita to compile an appendix to a friend’s book on the subject of reincarnation which she had volunteered to type. This appendix grew into a volume of its own. Mrs. Grace Clough of the ULT – Los Angeles, advised Anita upon her visit there to select a pen name and have her appendix published as a separate book. Grace Clough then selected Sylvia Cranston as the nom-de-plume of Anita Atkins. 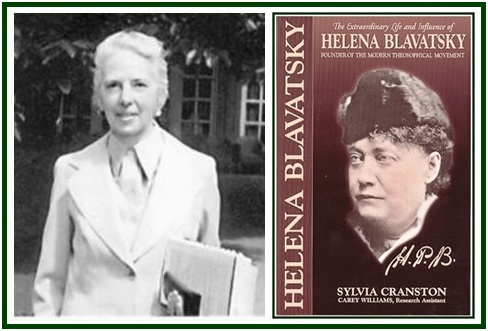 The first four Cranston anthologies on reincarnation, were published by Crown Publishers, and the fifth volume, “H.P.B., The Extraordinary Life & Influence of Helena Blavatsky”, was originally published by G.P. Putnam’s Sons, both of New York. Today these books are in print within various theosophical and non-theosophical publishing houses. Anita Atkins is survived by her faithful brother, friend, and companion “Bob” (A. Edgar) Atkins. He stood by Anita and was invaluable through both his moral and financial support. At the age of seventy-nine he formed Path Publishing House along with Caren M. Elin to keep the HPB biography in print. In the future, this biography will appear online. The lifetime work of Anita Atkins shall continue to be carried on through the efforts of her faithful friend, companion, and co-author Carey Williams. The new and uncompleted sixth volume started by Cranston and Williams shall be completed in the future. Anita Atkins selected to depart this lifetime on the Summer Solstice, June 20, 2000, while residing in Santa Barbara, California. The last six years of her life were spent advising Carey Williams regarding publishing, and the contents of her lectures and articles while enjoying the magnificent coastline and panoramic views of the Santa Barbara area. It was Anita’s undying wish that the ideas of Theosophy be used to benefit Humanity through gentle acts of service, beginning with those who cross our path daily – family, friends, and coworkers. An additional wish was for all of the Theosophical groups and independent individuals to work symbiotically for the Theosophical Movement and through it to benefit Humanity. Anita Atkins never wished any acknowledgements for her lifetime of selfless work, and now that she has departed the scene, I believe many join me in saying thank you Anita for a lifetime of selfless devotion to the Theosophical Movement and to Humanity. The above article is reproduced from the Canadian magazine FOHAT, volume IV, Fall 2000, pages 64-65.